Legendary Urdu poet Mirza Ghalib had once suggested in one of his verses that he would like to see a Brahmin buried in the Ka’aba. 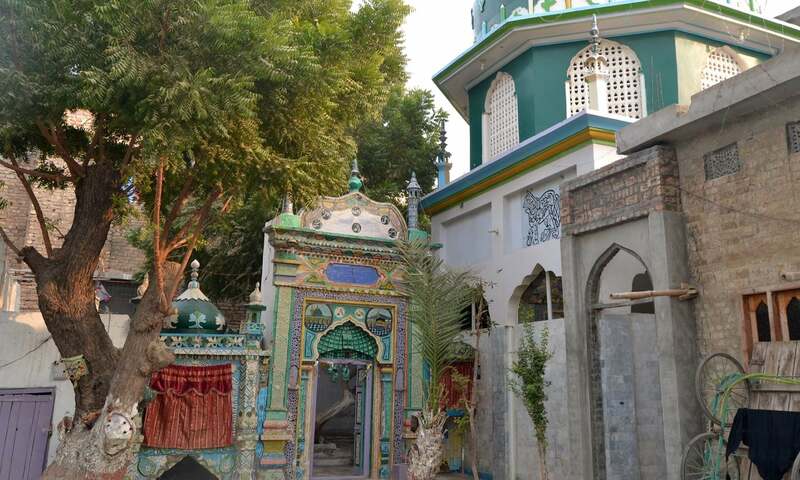 I don’t know whether the Lund Baloch tribe of Mirpur Khas ever read Ghalib, but they partially fulfilled his wish by burying a Brahmin in their imambargah. Even though the Brahmin in question had embraced Islam by then, some Muslims residing in the area had objected to the burial of a convert in the vicinity of the imambargah. 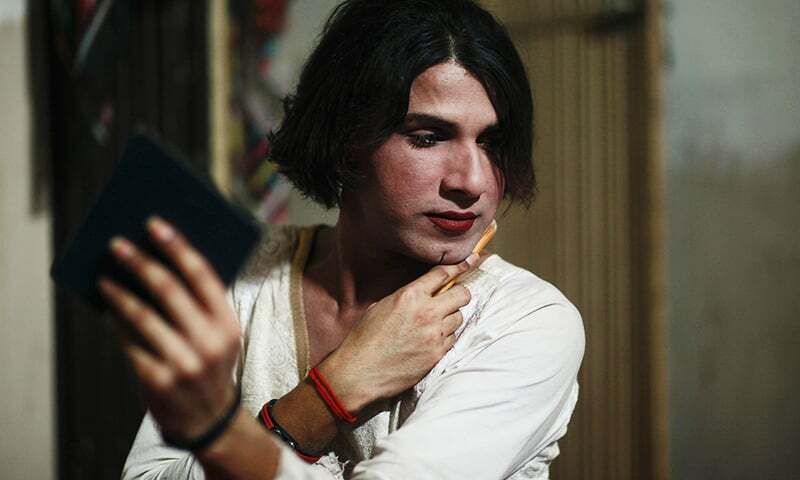 In Mirpur Khas’ Na’ai Parra (Barbers’ Colony) lived a young transgender named Sukh Dev, born into a Hindu-Brahmin family. He was six-feet tall with a broad forehead and big eyes, which shone with kindness. He was a compassionate person, and loved children. The temple in Na'ai Parra. The main gate of the temple. Sukh Dev and his family members would regularly pray at the Hindu temple near their house. Less than a stone's throw away from the temple stood the Shrine of Aarib Shah Bukhari in an imambargah. After the Partition, Sukh Dev migrated to India with his elder brother, but yearning for his birthplace, he soon returned to Mirpur Khas to take up residence in the Barbers’ Quarters. The outside view of the Shrine of Aarib Shah Bukhari. Many people come to pray at the shrine. Sukh Dev then converted to Islam and assumed an Islamic name, Abdullah. Being uncharacteristically beautiful, the local people gave him the nickname, Sohni. Gradually, the name evolved into Sohni Faqeer (Sohni, the beggar), as did references to his gender. Childless women would often come to Sohni to get sacred wristbands and talismans. Many women would invite Sohni to marriage and circumcision ceremonies. Sohni Faqeer also named all the newborn babies in the area; and showered blessings upon everyone. A plaque bearing the reconstruction of the shrine. 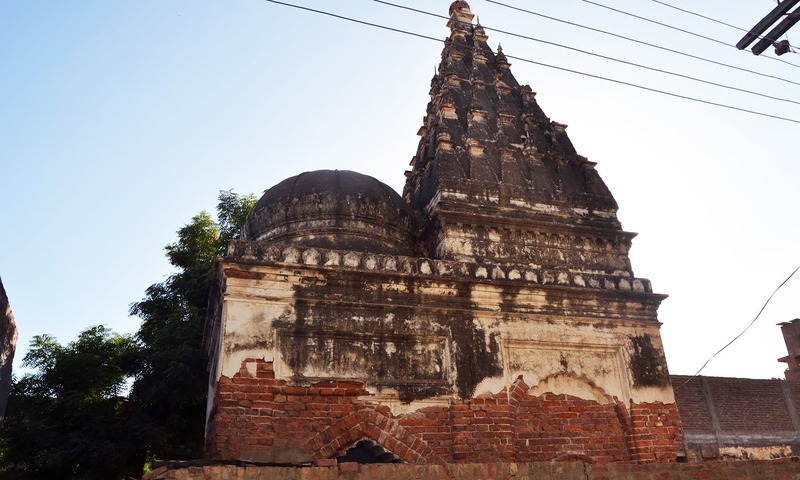 After her conversion, Sohni Faqeer, née Sukh Dev, showed little interest in the Hindu temple but she took it upon herself to look after the imambargah. 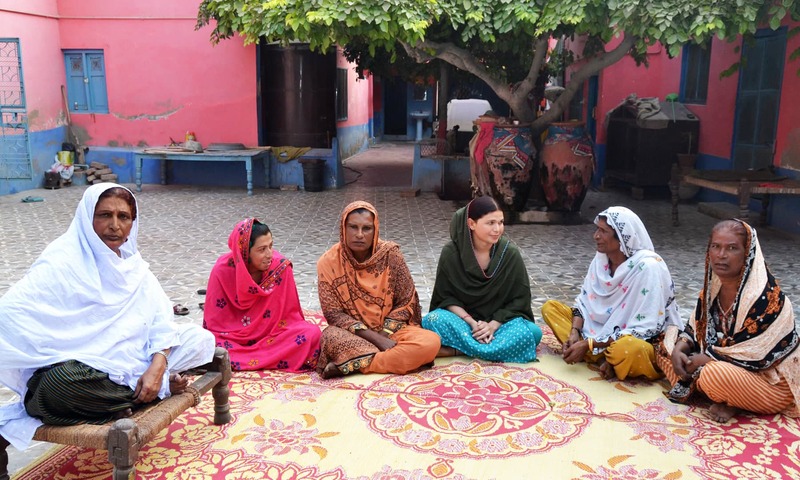 She renovated the structure and made arrangements for an annual festival over there — the expenditure of which was borne by the local transgender community. 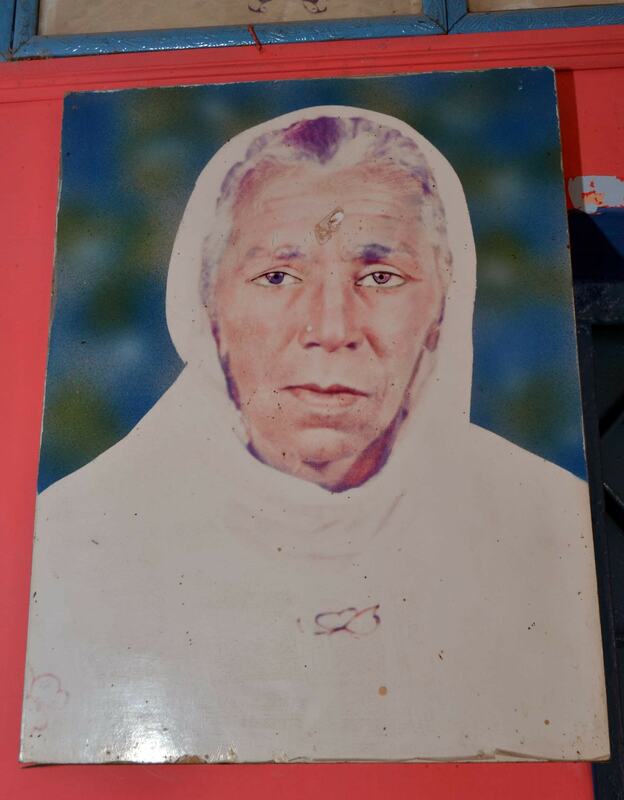 One day, Sohni Faqeer sent for two elders of the Lund Baloch tribe, Chacha Allah Rakhio and Murtaza Lund, requesting a meeting, as she was critically ill. After offering their prayers, the two men immediately left for her house. 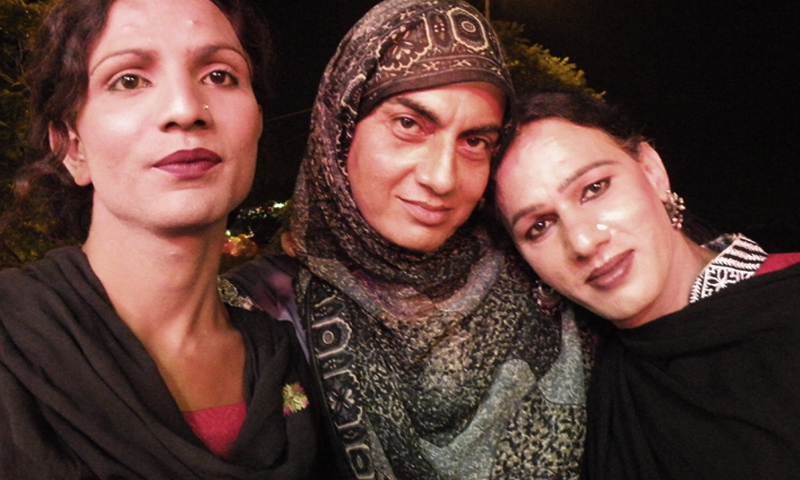 “The imambargah is maintained by you and the rest of the Khwaja saras (transgenders),” said Rakhio. Taken aback, both men said they needed to consult with the Baloch community before promising anything to her. Two days later, Rakhio was informed that Sohni Faqeer had departed from the world. He promptly summoned all the young and old members of the Lund Baloch community to convey to them Sohni’s last wish. Everyone agreed that since Sohni had served the imambargah so diligently, she deserved to be buried in its vicinity. 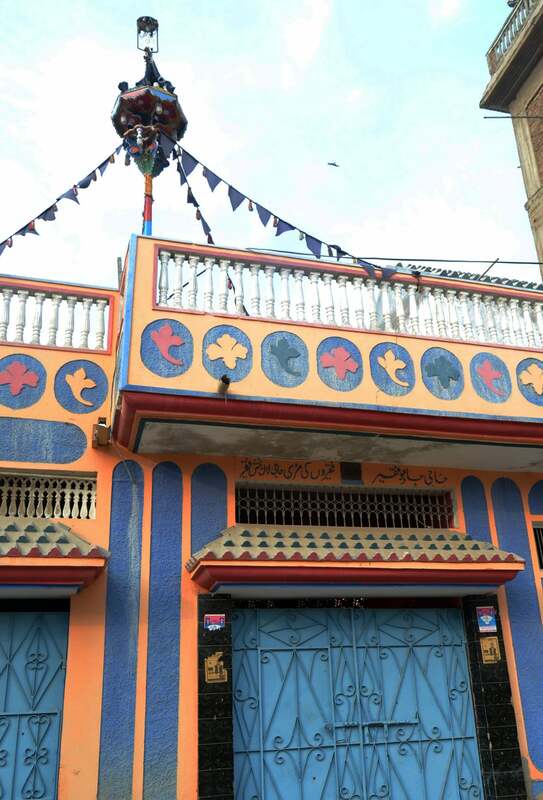 A house belonging to transgenders in Mirpur Khas. A group of transgenders living in the house. Some of the locals, however, protested the decision, albeit mildly, saying that it would be wrong to bury a transgender near a Sufi saint. But the Lund Balochs overruled the naysayers and gave Sohni the burial that she had requested. If you visit the imambargah, you will see devotees heading straight to Sohni’s grave to offer fateha before they enter the main Shrine of Aarib Shah Bukhari to offer votive prayers. 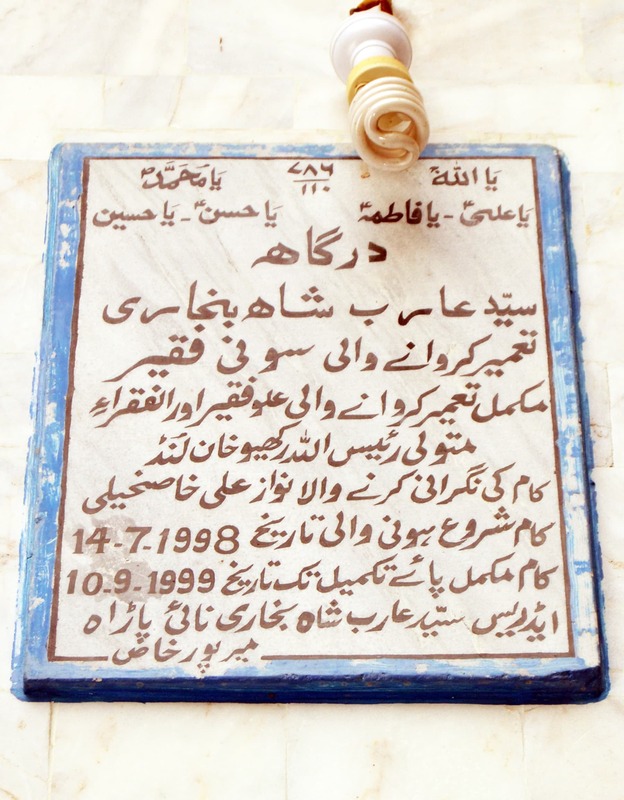 Sohni Faqeer's grave at the Shrine of Aarib Shah Bukhari. As for the ancient temple in Na’ai Parra, it used to be a desolate place but today it is home to Muslims who had migrated from India. 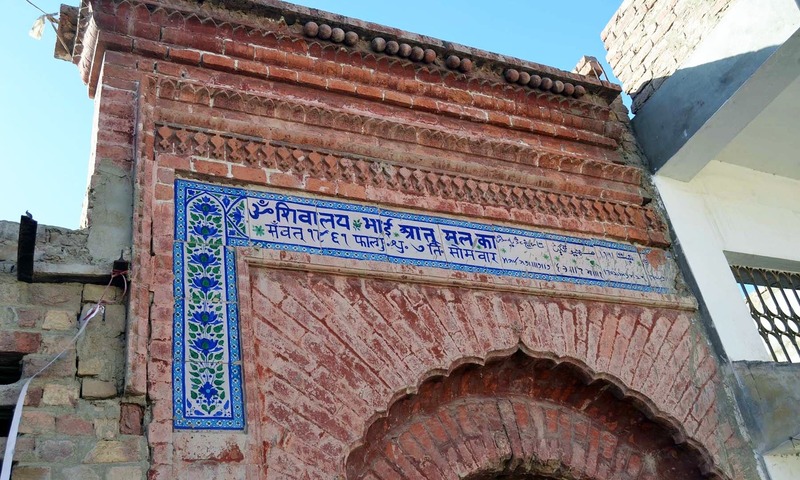 It is to their credit that the building's structure has not been altered; the plaque fixed above the central door has not been vandalised till date. Approximately, 3,000 square yards of land surrounding the structure have been appropriated to building houses for Muslims. Nice read, as always a nice article by Akhtar Baloch. Absolutely fabulous ........ it simply shows that all is not lost. I wish I could hug them all for this great decision! Good article! A little unknown is turned out to be more liberal and progressive than the rest of the closed minded country. Thank you for sharing such a good article. this could only happen in Sindh . the land of Sufis. long live Sindh and Pakistan zindabad. I have been to Mirpurkhas but I never heard this story. I will definitely visit this shrine whenever I go there. This article made me cry. How beautiful was my country and how tolerant were my beloved Pakistanis. All changed thanks to Saudi Arabia, we are now one of the most intolerant people in the world. This issue , the T Gs , was and continues to be , unresolved: their burial , social status ,jobs , protection of law even though the SC directed the issue of NICand allowed them inheritance rights . I wonder whether the CII was ever asked to give there opinion on these , other related issues . It will be interesting to see what the CII has to say . Also is there any NGO to take up there problems and provide them some protection ? Great article indeed! 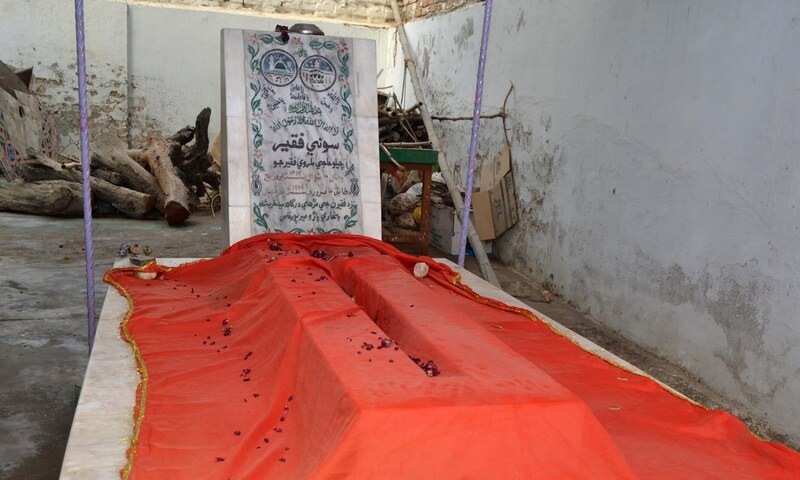 It is great to see that the Baloch tribe did allow Sohni Faqeer to be burried within the premises of the Imambargah. It shows that our society did have great tolerance for all kinds of people and that is the true spirit of Islam. To live and let live. Regardless of the race, gender, creed, all are treated with due respect and all have the right to live peacefully in our society. Unfortunately the religious fundamentalists and hate monger mullahs have hijacked Islam and we are into the situation where we are today! We need to 'rewind' and get back our values from older times! Your stories are always worth reading. 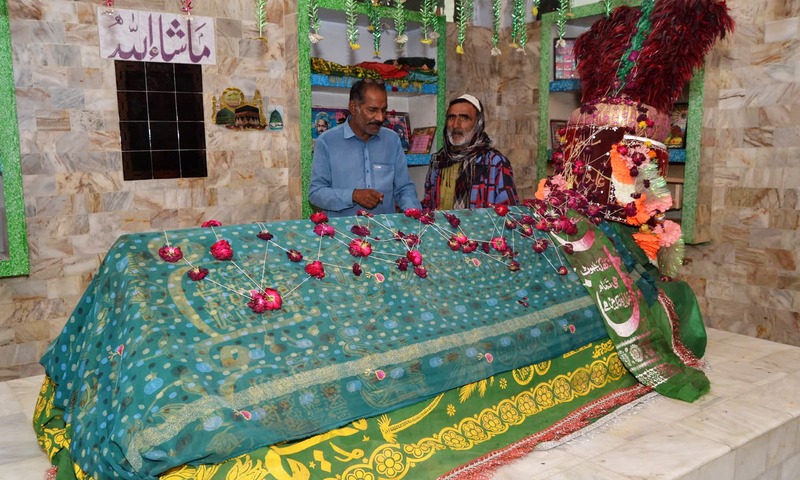 It is amazing to know that a transgender community member has been buried along-side the sufi saint. But that is Sindh; a timeless land with a history of religious tolerance, nurtured by the poetry and teachings of its Sufi saints and mystics. Thank you Mr. Akhtar Baloch. Good job by Lund Balochs. Very well done to the community for showing such a big heart...Islam teaches us to accomodate & tolerate which has been truly portrayed by the people there..
May Sohni's soul rest in peace and in heaven. Sohni's deserved this as Sohni had so much love for the land where she was born.Good job by the ones who allowed her burial where she wanted to be buried. she was a Muslim so no question about burying near sufi shrine.every person has equal right to live and burial after death no matter which genders. Thank you Baloch Sb. for highlighting human and tolerant side of our society. This story has almost made me cry. We still have some decent people among us. This is the true spirit of Islam. I am delighted that good sense prevailed and the local community granter her wishes. Great article. Interesting, fact based and hopefully serving a purpose of promoting tolerance! Thank you for sharing this amazing article. Brings a certain warmness in me knowing that there are still people who cherish love rather than race/creed/religion. Way to go Sindh and way to go Pakistan! after all, love is what matters - we all have to go to our graves one day. Bohat dinoo baad I am seeing article. It's a delight to read your articles. Wonderful article and shows that tolerance is an instinctive human trait. Beautiful article. Nice to read about the positive role models projecting tolerance and mutual respect! This is how our nation was at one time, sadly the very religion that portrays tolerance and love is now being hijacked by a specific brand of paid mullahs who are spoiling the spirit of tolerance and accommodation. Congratulations for highlighting this story. Great. Such tolerance must be practiced now a days. True Islam! A wonderful story. That means there is a scant hope for us. Please spread the message of peace and understanding. It is Islam,love for humanity. Amazing piece. My eyes and face is wet due to tears. Obviously, it is the imambargah where weak and needy finds solace. the Lund Balochs overruled the naysayers and gave Sohni the burial that she had requested. Lund tribes generosity is commendable. No doubt a great article presenting a picture of real pluralistic society in true sense. The most encouraging, relaxing, and soothing part for us all Pakistanis is: the comments part from the readers. Really happy to see that everybody appreciated the tolerant behaviour of community. We are first humans ...everything else is secondary. A commendable article highlighting softer image of Pakistani society. Thank you Mr Akhtar Baloch. thanks Akhtar we enjoy what y write . very nice and informative . these people are free people very correct . man of quality be respected. We have an incredible streak of tolerance and compassion among us that gives a glimpse to our inner soul once in a while. This writeup has just made my day! What a good story! And, interesting too. It is unfortunate that Sukh dev had to convert to find some level of acceptance in his place of birth that he dearly loved. He was forced out of his homeland because of the community he was born into at no fault of his. Articles by Mr. Baloch are always very informative and pleasant. What a delightful story! And also told so nicely, from the heart so reaches our heart! It proves how strong and powerful common people can be over norm ... when they desire so. I am dead sure God will love this act. No one can object to such a thing. It is humanity and nothing comes above it. what a wonderful read.....beautiful. thank you for sharing this gem. historical decision taken by lund baloch tribe by burying a devoted transgender inside imambargah. Great article Baloch sahib.Do accept sincere thanks from my family and friends.In these days of bomb blasts and terrorist related news items,you w Always pick a topic which touches a chord of your heart in the most magnificent and subtle way.May I suggest Baloch sahib to write an article on Sukkur Jails's history and on the Tomb of Seven Sisters also in the same area,if not already written.Again,many,many thanks for this article on a gesture of Humanity by co mon illiterate people. @Iceman:Totally agree with you.nice narration. Salute to Lund Tribe decision maker and to Mr. Akhtar Baloch to highlight this matter. Imambargah is the memorial of Imam Hussain (AS) and HE is for the humanity not for any religion or gender. Now I will remember that Sindhis are the most tolerant people in Pakistan , love you Sindh. sohni, what a great human being,i feel muslims born in the house of muslims should learn from the transgenders, and treat them with respect. This is humane action by the Lund Baloch tribe. And will be long remembered whenever writers' like Akhtar Baloch care to inform the readers about such saintly acts. Just reading and forgetting should not be the phenomenon.The silent people of sub-continent must overhaul their minds and souls, and stop paying heed to the fanatics who are ever ready to creat mess and unhumane situations only for their vested interests. We must remember "humanity" and "love " and no to violence always. Thank you for doing good work. Sindhi people know the value of human and they can embrace anyone and if they served in a right way like Sohni faqeer did. We welcome such great personalities who can spread love care and compassion. This was the love of Sindhi people who made Sohni faqeer decide to live and devote the life in serving praying places. Sindh has versatile colors of society. plz search "wajood" a NGO registered by TG's and search bubbli malik on youtube a Transgender and she has done a mervalous job for TG's. Articles in dawn are really informative and make an interesting reading. Baloch Sahab thanks enlightening . Regards. Very good article. We should know more of such things in the rural areas. Sindh is definitely rich in historical heritage. We should encourage our writers to do more research like this. This is the reason Sindh always repelled the fundamentalist ideology. Long live the spirit of, "Live and let live". Keep it up Akhtar Balouch Sahib!